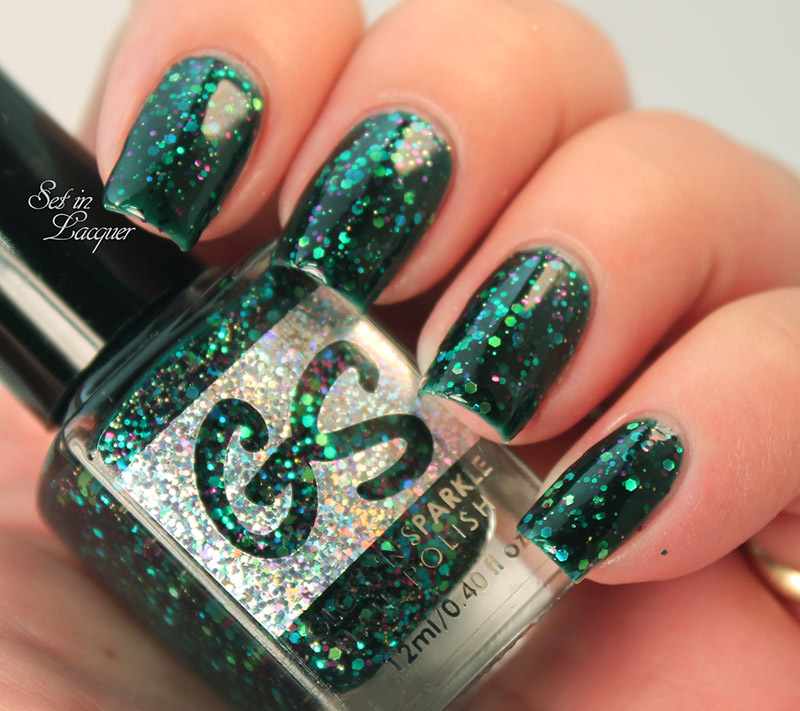 I have three fun Gloss 'N Sparkle polishes to share with you today. These shades will be perfect for wearing year-round and The Huntress is particularly fitting for fall and Halloween. The formula on these is nice. Let's jump right into the swatches. Duma Key is a bright, almost aqua blue that is packed full of silver, white, pink and violet holographic sparkles. I didn't have any issued applying this polish. This is two coats with a top coat of HK Girl. A Face in the Crowd is a warm coral leaning pink that has pink, fuchsia, lavender and silver holographic sparkles. I didn't have any issues with application. This is two coats with a top coat of HK Girl. 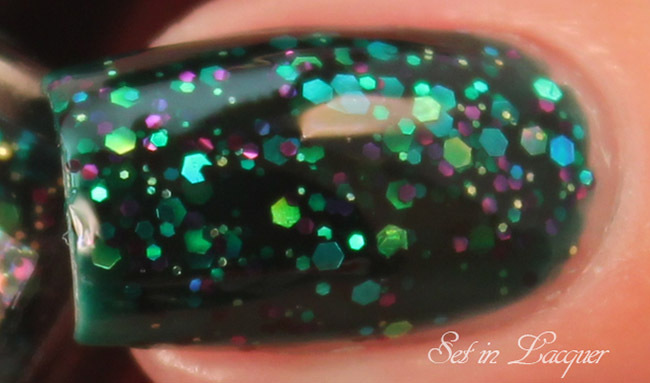 The Huntress is a deep green jelly with small gold, black, pink, garnet, emerald, turquoise and lime glitters. This deep jelly polish appears black here. It flashes green in certain lighting. I didn't have any issues with application. This is three coats with a top coat of HK Girl. 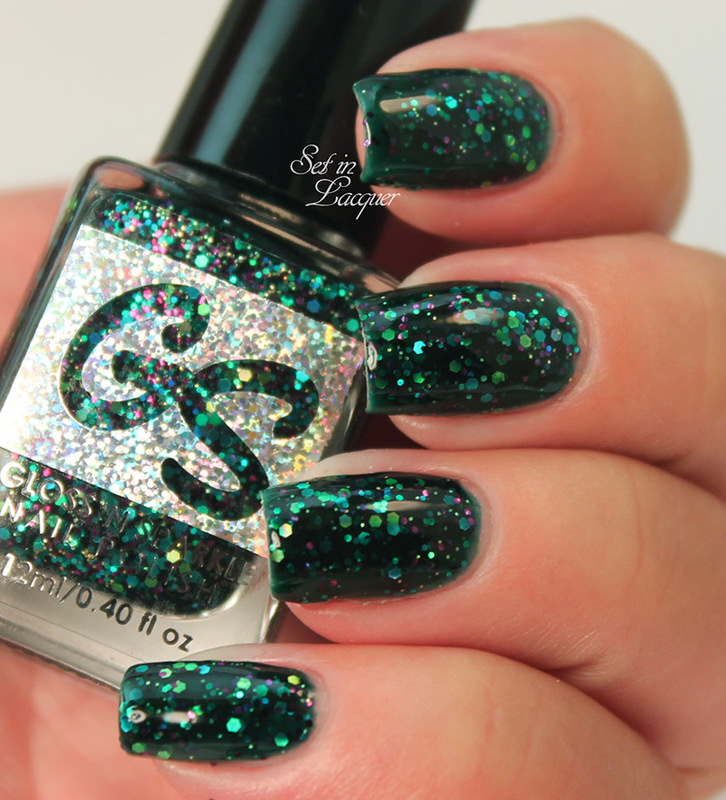 Gloss 'N Sparkle is available from Color4Nails for $11. 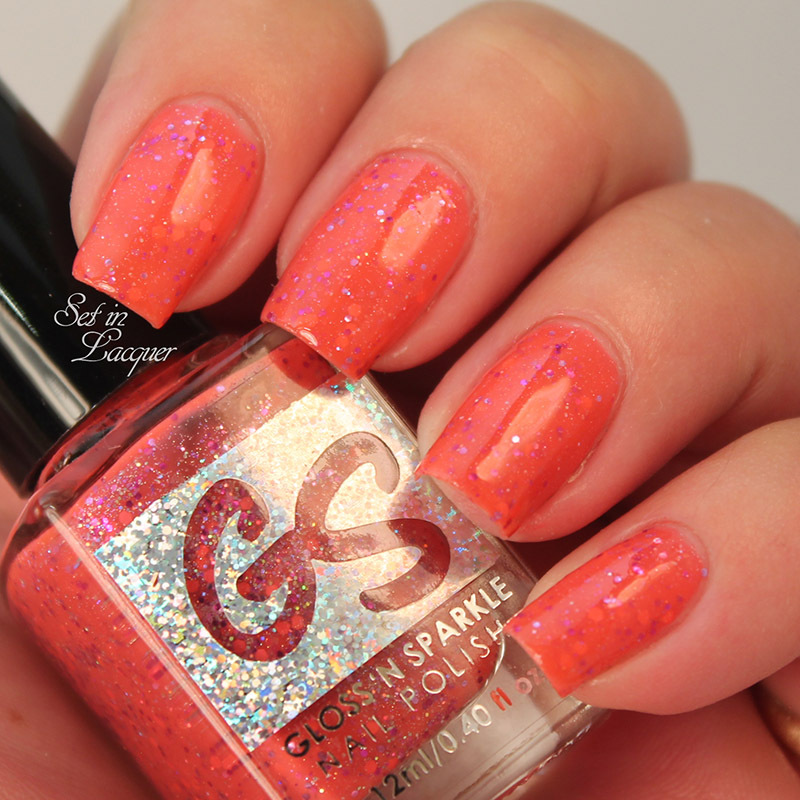 Gloss 'n Sparkle was established in May of 2012. Their aim is to produce unique polishes using high quality ingredients. All shades are vegan friendly; not tested on animals; and are 5 free (no Toluene, Formaldehyde, DBP, Formaldehyde Resin or Camphor).